You are here: Home / News / You can make a difference! 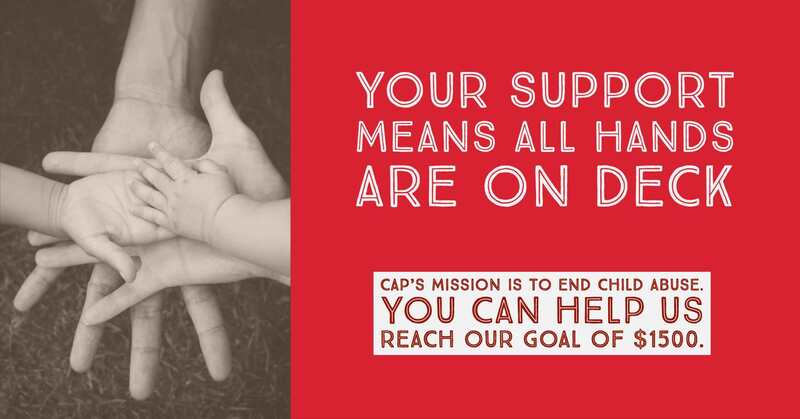 CAP has raised $600 towards the end of year goal of $1500. #GivingTuesday and our bake sale fundraiser during Jamestown’s holiday parade were both a success. We would like to thank everyone who donated. Your support is greatly appreciated! There is still time to donate. CAP is raising money to purchase child-friendly supplies for the Jamestown & Fredonia office. Visit Donate Today to support the campaign today.